Ten Tuesday is a weekly meme that originated on The Broke and The Bookish. As of January 2018, it moved to That Artsy Reader Girl. This week’s theme is: Book Quotes. I don’t really have any, so I’m doing movie/TV quotes. Enjoy. You’re Killing Me Smalls from the Sandlot. I say this at least once a week. Hey James Bond, in America we drive on the right side of the road from Clueless. I say this a lot while driving my car. 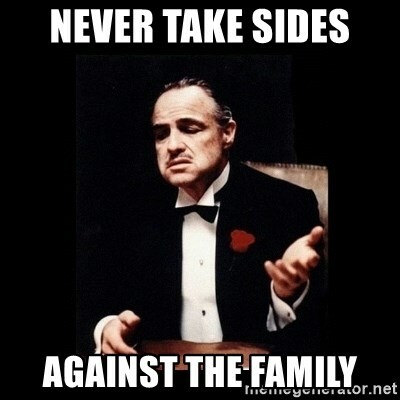 Never Take sides against the family from the Godfather. Mostly say this in a joking manner to my own family. My car, ma car from It’s a Wonderful Life. I say this ALL. The. Time. See, he’s her lobster from Friends. I tend to quote my favorite ever episode on occasion. 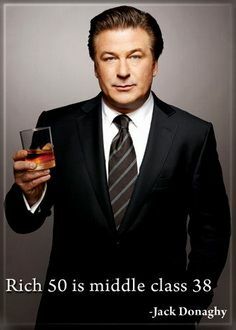 Rich 50 is middle class 38 from 30 Rock. I don’t know why I love this quote so much, but I do and I say it every now and then. What you talkin about Willis? from Diff’rent Strokes. I use this one quite often. Houston, we have a problem from Apollo 13. I’d be willing to bet a lot of people use this. I have only 9 this week. Do you have a movie/TV quote you use quite often. When I tell the story of how my old boss left the Firm, I tell people I was “Michael Scotted”. He said “see you tomorrow” and I never saw him again. Just like Michael did on the office. “He’s her lobster!! !” That is so iconic!